He was Paris's leading dealer, friend and mentor to history's finest artists, and owner of a unique, priceless collection. He was one of the most influential figures in modern art in Paris. 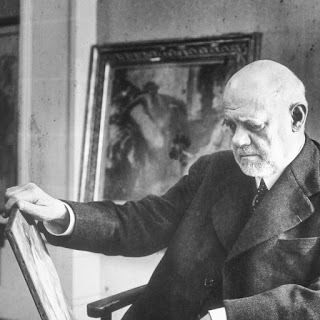 A publisher, gallerist and collector, he worked with many of the greatest artists of the late 19th and 20th century, Renoir, Cézanne and Gaugin, and later, Picasso. 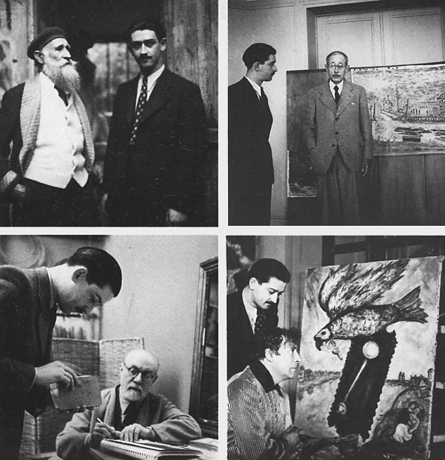 He helped shape his promotion and establishing of the avant-garde artists of his day and of the previous generation. Beyond his work as a gallerist, he wrote artist biographies and encouraged many to take on new and extended projects. Born in Réunion, a French colony in the Indian Ocean, Vollard arrived in Paris in 1895 as a student of law at his father’s behest, aged 21. The city was in its first flush of Impressionism, intoxicated by a flurry of paintings in creamy yellow lights and grey-green shadows; their shimmering colours and sliding forms heralding a new strain of modernism, which seized him, he says in his autobiography, ‘like a blow to the stomach’. A year later, having abandoned his studies, he gave the then unknown Cézanne his first show from modest premises on the rue Laffitte. 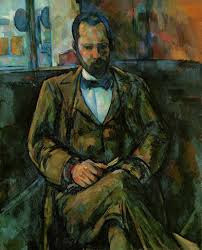 He recalled that ‘an innovator like Cézanne was considered a madman or an impostor, and even the avant-garde regarded him with contempt. On the spot, I managed to buy 150 canvases from him, almost his entire output. The show was a revelation and made reputation and fortune for both. Vollard’s appetite and eye for undiscovered talent was voracious. 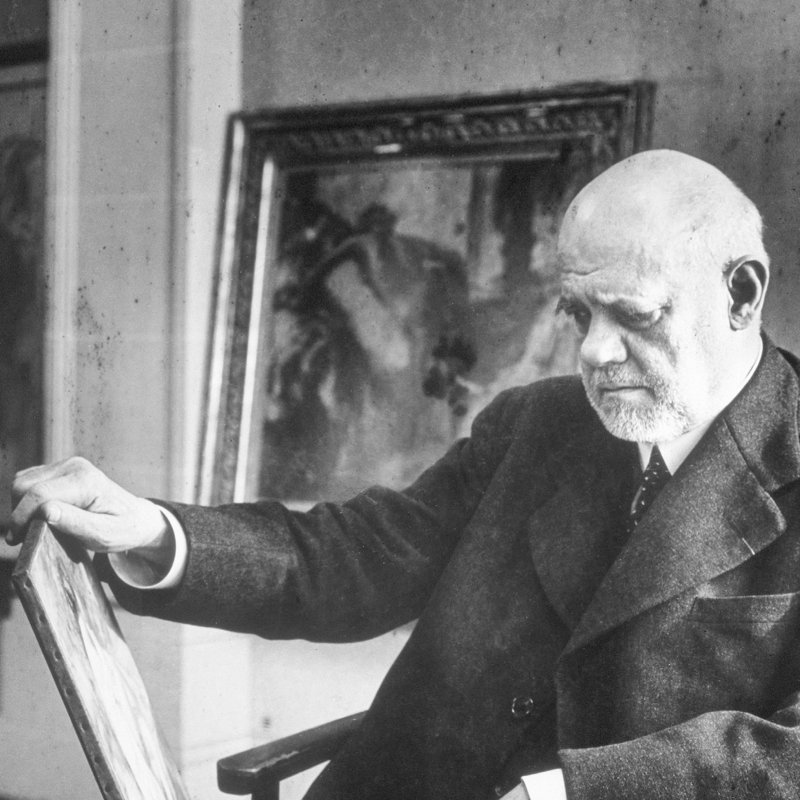 Over his career, he exhibited the work of Van Gogh, Gauguin, Picasso (whom he gave his first Paris show), Matisse (his first solo exhibition) and bought and sold works by Rouault, Derain and the Fauves, Degas, Renoir, Monet and Manet. He instigated a swap-shop style of trading. According to his meticulous account books, Picasso exchanged his works for those by Degas and Matisse. 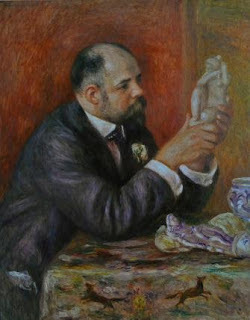 Degas and Renoir drew lots for a Cézanne. Kandinsky wanted a Rousseau but could not afford it. In 1913 Matisse pawned his wife’s emerald ring to purchase Cézanne’s Three Bathers. Some complained he exploited them. Most valued him immeasurably. Time and again we see evidence – letters, inscriptions and so on, bearing witness to his loyalty and generosity: ‘to my sympathetic slave-driver’ reads one of the more poignant, from Renoir, a lifelong friend. By far the best monument to their esteem, though, can be found in the portraits by each and every artist that passed through his hands. 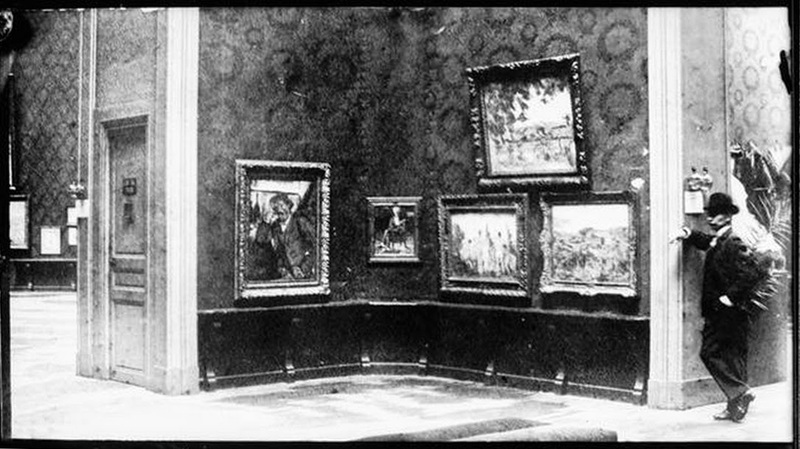 His gallery became a meeting point for all of bohemian Paris. He held dinners in his cellar, where he served creole curry to his guests who clamoured for invitations. 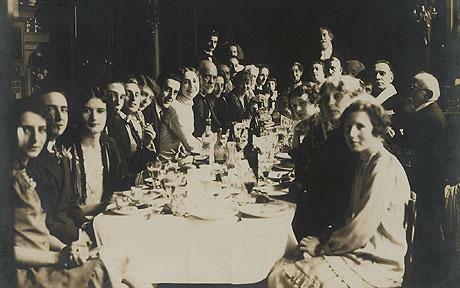 An anonymous photograph of diners at one of Vollard's celebrated bohemian soirees, which took place in the cellar of his gallery on rue Laffitte. The estate he left when he died on that July afternoon was vast. 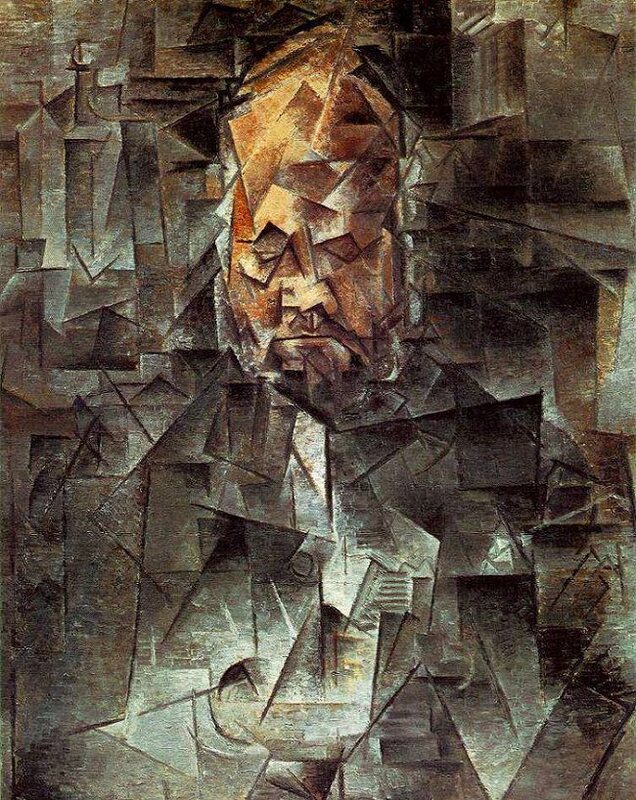 His cottage in Tremblay Sur Mer held some 10,000 artworks; Cézanne, Renoir, Picasso, Matisse, Gauguin, Van Gogh, Degas, Cassatt, Manet, Monet, stacked up, unframed, piled high and higgledy-piggledy under a layer of dust and in impressive disorder. The photographer Brassai, who visited him in 1936, reported only two occupiable rooms – a dining room and a bedroom – every other inch of space given over to storage. Without direct heirs, the majority was divided between Madelaine de Galea, an alleged mistress, and his brother Lucien. What happened next is hazy, complicated by war. Some were hidden in museums outside the city; Lucien appointed a dealer Martin Fabiani, in accordance with Ambroise’s will, who set about disposing of the rest. At some point a shipment consigned for the United States was impounded by the British, only to leak on to the New York art market years afterwards. Fabiani was later indicted as a collaborator, a ‘Corsican adventurer, gigolo and racetrack tout’ who traded art plundered by the Nazis to the gaggle of strange adventurers, gangsters and government officials in occupied France. By 1948, the newspaper Ici Paris would cry ‘On a perdu la richissimes collections d’Ambroise Vollard!’ (we’ve lost the incredibly rich collection of Ambroise Vollard). What no one knew, until recently, was that several hundred works ended up in the hands of a young Croatian Jew. Erich Slomovich had come to Paris in the mid-Thirties and become something of a protégé of the ageing Vollard. Slomovich later told his mother that Vollard had given him the works to create a museum in Yugoslavia. But on his way there, the sound of German artillery thundering at the outskirts of Paris, he hurriedly deposited about 180 works in a vault at Société Generale. A year later, he stashed the remainder behind a false wall in a farmhouse near Belgrade, just weeks before he was gassed, aged 27, in a converted truck. The Belgrade stash was appropriated by the Yugoslav state, but the safe deposit box in Paris slept silently, unknown, unopened, until 1979, when French law allowed the bank to reclaim unpaid rent via a sale of the contents. When the bank announced it was auctioning ‘La Collection Chlomovitch, Provenance Ambroise Vollard’, quick as a flash, 15 parties stepped forward to claim the art and the sale was cancelled. Thérèse Bonney’s Vollard at 28, rue Martignac (ca. 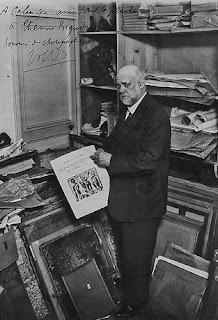 1932), with an inscription to dealer Etienne Bignou reading "To someone who loves paintings so much." A sobering 29 years of legal wrangling later, the works are finally to be offered at auction by the Vollard heirs, making their long-anticipated appearance on the market. The highlight of the sale is a 1905 Derain painted at Collioure, in the south of France which is expected to sell for up to £14 million. Its vibrant colouration heralded a new string for modernism’s bow as he and fellow artists Vlaminck and Matissse became known as Les Fauves, or ‘Wild Beasts’. There are also works by Cézanne and Degas, Renoir, Mary Cassatt, Picasso and Chagall. Some are inked with fond messages and dedications in scrawling, century-old signatures. In 1937, when Vollard was busy curating his memories for an autobiography, he chanced upon a subscription slip for an edition of the pastoral romance Daphnis et Chloé, for which he had commissioned Bonnard to provide a series of illustrations. In reflective mood, he inscribed it thus: ‘When I had the good fortune to find such a talented illustrator as Bonnard.’ and sent it to his former protégé. All art lovers,very easy find each others...!! !